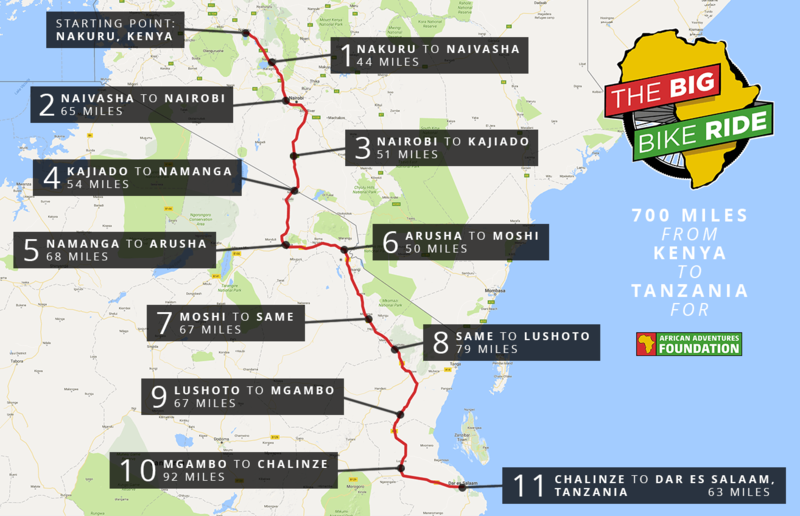 The Big Bike Ride6th August 2017 – The challenge begins! 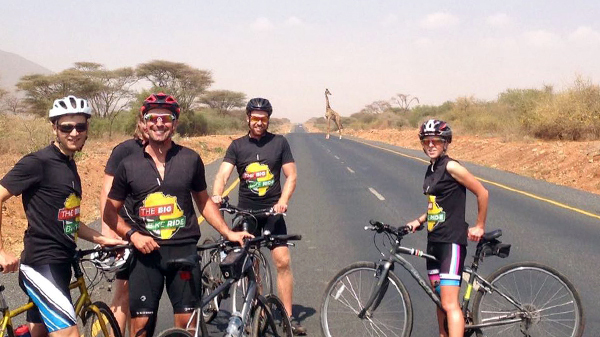 The team of five cyclists, including African Adventures Director, Dan Mew, set off on Sunday 6th August on their 11-day journey across Kenya and Tanzania. The team had to cope with challenging terrain, poor road conditions and unpredictable weather at the tail-end of Kenya’s rainy season. However, this was not going to deter them, everyone kept in good spirits and the whole team successfully reached Dar Es Salaam in Tanzania as planned on Wednesday 16th August. 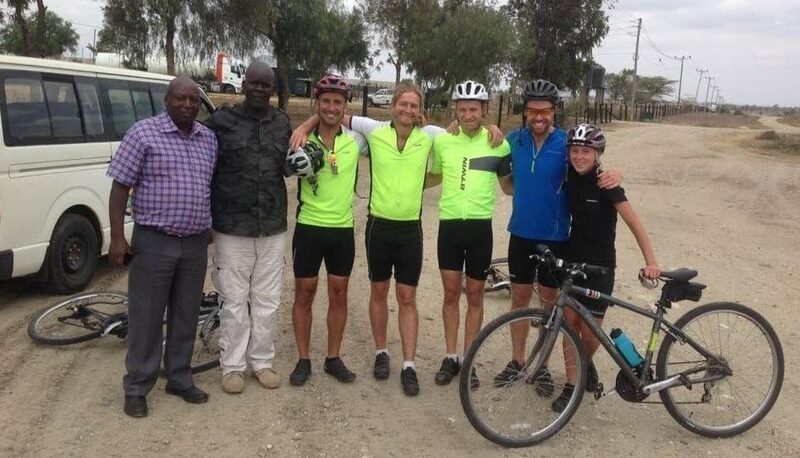 The route took the team through the southern tip of the famous Rift Valley and towards the bustling capital, Nairobi, where they headed south towards Namanga, on the border with neighbouring Tanzania. 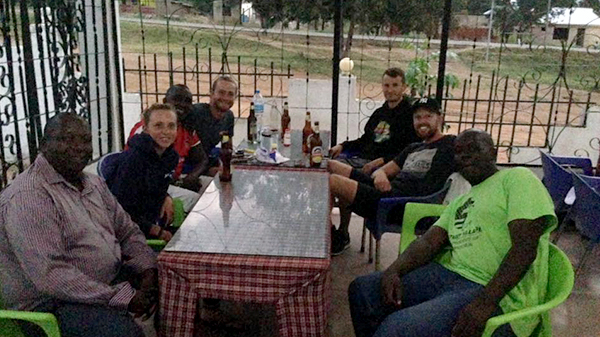 The team reached calmer terrain in Arusha on day five before embarking on the gravelly foothills of the world-famous Mount Kilimanjaro in Moshi. 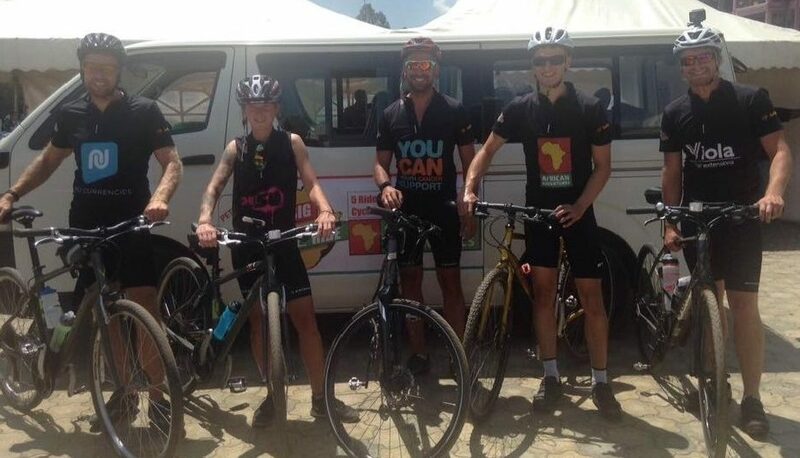 This was followed by a hilly climb to Same and then an onward journey towards the shores of the Indian Ocean, pedalling through Mombo and then onto Mgata, a physically demanding and windy stretch of the ride. 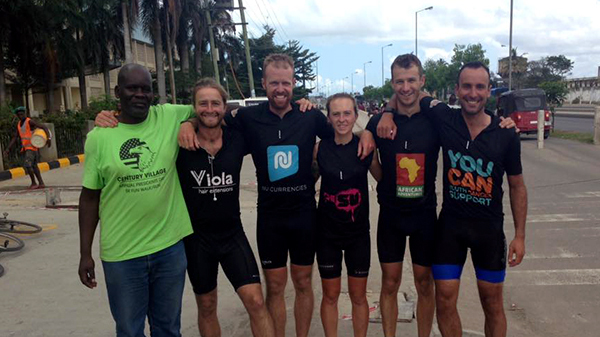 The final leg saw the team pedalling south through the rural Pwani Regional towards the finishing line, in Tanzania’s most populous city, Dar Es Salaam, where they arrived on day eleven to celebrate. Thank you for your generous support with making this dream a reality. With your contribution towards the cost of the school’s build, you are helping to change the future for generations of Kenyans living in the Rift Valley. The new Walk Centre primary school was officially opened. Chichester College, who have been so instrumental in raising funds for the build, were in attendance. After some last minute adjustments, the team loaded up the support van and then headed to the start line at The Walk Centre for a 1pm start, where small crowds had started to gather to wave us off. Considering yesterday’s tough climb out of the Rift Valley, the gentle tail wind meant we reached average speeds of around 24mph, which is pretty good for amateurs on hybrid bikes. 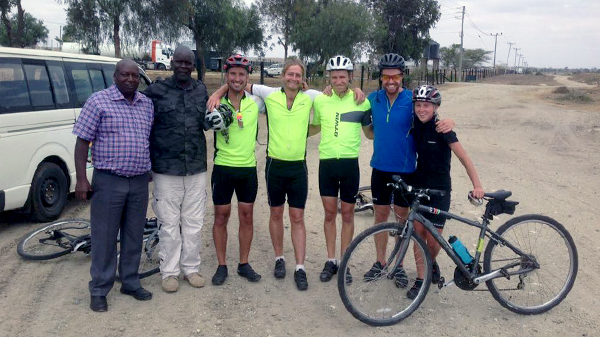 Kajiado was new territory for me – most of my experience and knowledge of Kenya is in the Rift Valley - so the team and I were excited to head off from the last major town before the border. 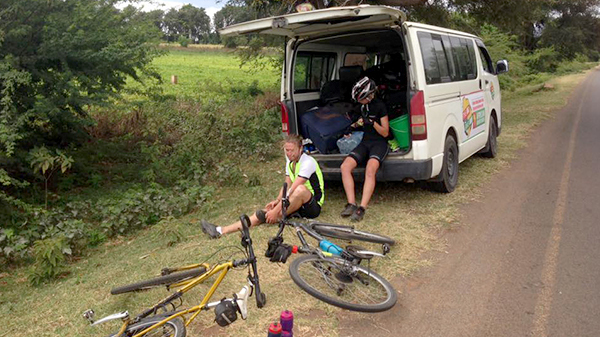 We kicked off early at 8am and made the short three-mile cycle to the border, where we had to pass through Kenya’s immigration to exit and separately Tanzania’s to enter. Everyone was fresh and full of energy after a good night’s sleep and a relatively easy ride, so we got started slightly earlier and made excellent time on the first 25 miles. If yesterday’s ride was green and hilly, today posed a different challenge. We left Same and headed further south with little around us but vast, open savannahs and just a couple of villages along the way. Despite probably needing a good sleep more than at any point in the ride so far, we only managed a few hours and got up at 5:30am, ready to get on the road at 6.30am. We are very grateful to all of our company sponsors for coming on board with this exciting challenge. 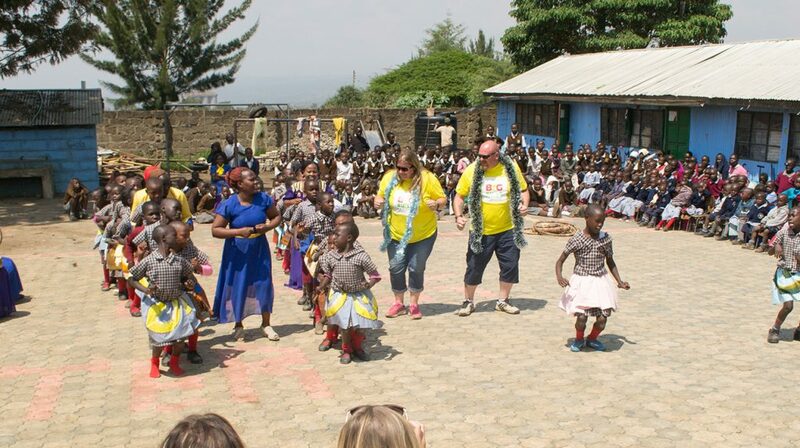 Each sponsor has donated a generous amount of money to enable this challenge to take place and to support the construction of the new Walk Centre primary school, and we want to say thank you! Because of their support, we have been able to complete the new primary school and the lives of generations of Kenyans will be changed. 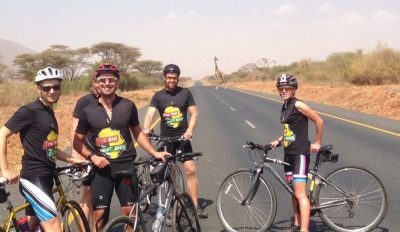 The aim of The Big Bike Ride challenge was to raise an additional £10,000 to complete the build of a brand new primary school in Nakuru, Kenya. This goal was exceeded and an incredible £11,841.17 was raised. 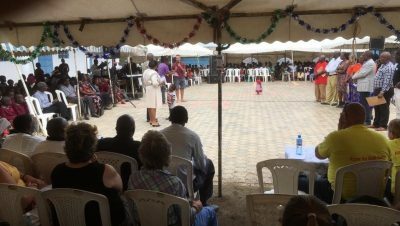 The Walk Centre was set up by teachers Alex and Patricia Maina, providing a free education and food to 350 children from the Hilton Slum at pre-primary level. Up until August 2017, once the children reached the age of seven, they had to leave The Walk Centre and move to a government school in the local area to continue their education. The Walk Centre covered the associated costs for as many pupils as possible but they could not do so for all, meaning that many children had to leave education at the age of seven. 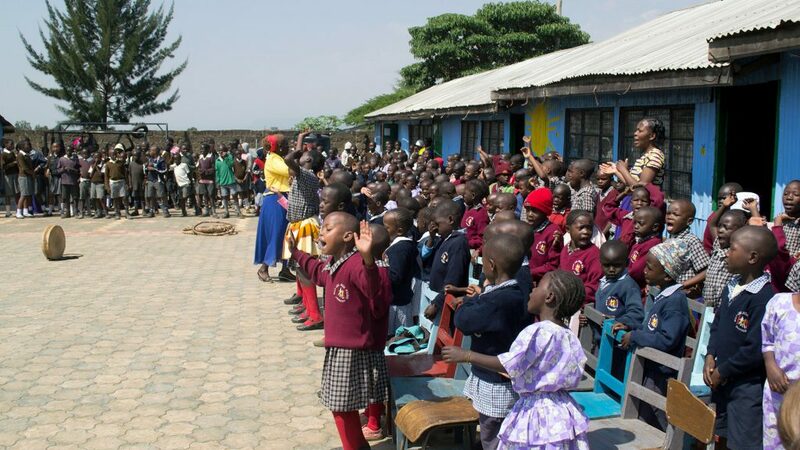 The Walk Centre provides such a good level of care and education to the children and the dream has long been to continue this past the pre-primary stage by constructing an independent Walk Centre primary school. This has now been achieved and funds raised through this event will help us to push the project through the final stages. The new school is the biggest building project that African Adventures and African Adventures Foundation have ever taken on and we have teamed up with Chichester College to raise the necessary building costs. The new school will have 10 classrooms, an office, a toilet block and a school hall, and will provide a quality education to thousands of underprivileged young Kenyans over the coming years. Thank you for helping us to bring this amazing project to fruition and change lives for thousands of Kenyans over the coming years. 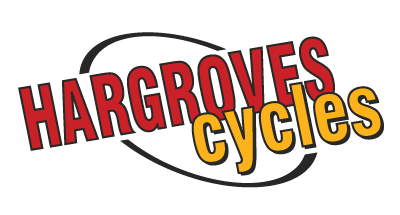 The cyclists funded their own costs and, thanks to generous support from African Adventures and our other sponsors, EVERY PENNY donated on this page has gone towards the construction.